Moisture is the key to healthy, youthful skin! 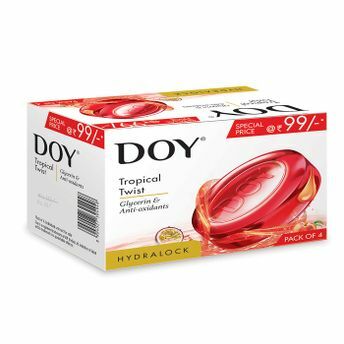 This soap is enriched with Vitamin E- with the Doy HydraLock series of Glycerine Bathing Bars which help to bring back lost moisture and lock it in, thus giving your skin better, longer-lasting moisturisation. Additional Information: Nature in its purest form is beautiful and always offers a fine sense of balance. Doy knows that what goes on your body is as important as what goes in your body, and that's why they have created a range of products that offer the experience and benefits of pure, natural ingredients which help nurture and nourish your natural beauty.